Fun fantastic balloon figures for any event. Will go anywhere in 25 mile radius for my lowest price of $65 for the first hour. Additional half hours are $25. Additional hour $45. I can make over 100 different balloon sculptures from superheroes to Valentines, and am very fast, as I am a full time balloon twister (pop artist, balloonologist). While I twist your creations you will see and hear lots of jokes and gags to keep everyone entertained. 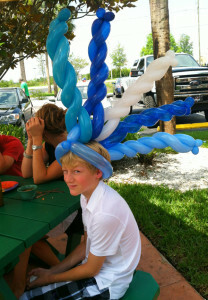 Every event gets a free large fancy centerpiece balloon creation for no extra charge, when appropriate. I often travel up to 200 miles for 2 day events. 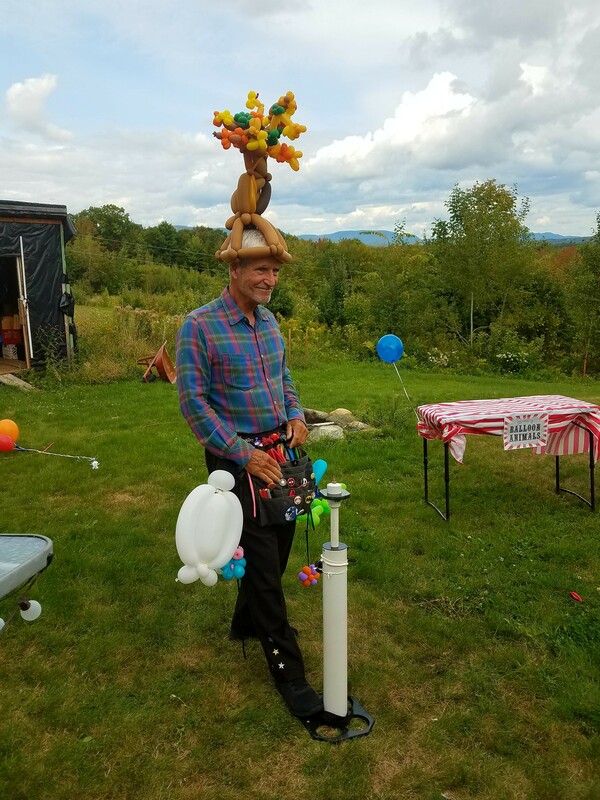 Jeff was wonderful creating a wonderful day for adults and children with his balloon artistry. Very pleasant to work with and you can count on him for last minute projects. Thank you, reviews like this are priceless. You put on a great (large and complicated) event, and made it easy do do my best, spreading fun and happiness. Arrived on time. Fast, fun balloon twisting. He performed exactly as his listing stated. I will use the Balloon Dude again and I just recommended him to the City for their events! Amazing Service With A Smile! Seriously, you need to hire Balloon Dude for All your party needs. He is on time, courteous, and comes prepared with a balloon for the birthday kid. He worked hard for no less than 2 hours, and he was cool as a cucumber throughout, making amazing creations. Amazing service, I've used him twice in a row and I will have him on speed dial for my next one - coming up in October! :) Thank you!! WOW! Thank you for the best review ever. I love balloon entertaining, and your event and hospitality make it an awesome pleasure. Call me anytime. Showed up on time, delivered an already-made beautiful unicorn for the bday girl, and serviced all kids with a smile and good nature. I would highly recommend him! Much thanks for the wonderful review. Your children guests were the most well behaved ever, making my job a breeze. I'm glad I was able to add to your magical unicorn party. The balloon dude arrived Family Thrift 2699 N State Rd 7 Lauderhill FL early. 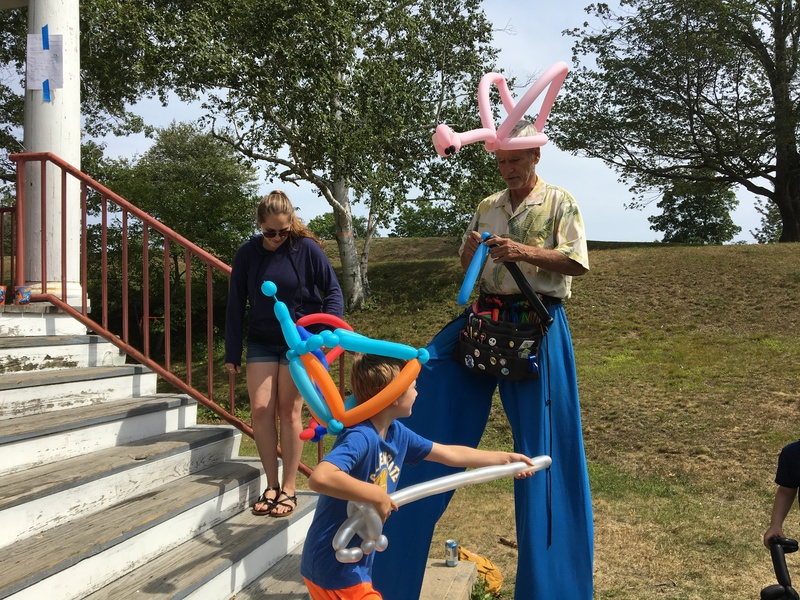 He kept many many kids entertained and happy throughout the event with his wonderful balloon twisted creations and his ability to engage with them with kids friendly jokes and guessings. He had plenty of balloons to go around and provided excellent service. Highly recommended. Thank you for the awesome review. As a business you know how much it means. I was a little worried, as I was somewhat fatigued in the last hour, (4 hour event), and hoped it wasn't showing. I hope I can return the compliment in the future, as Family Thrift has always had great values, compared to other thrifts, and also serves a great cause. Thanks Phil, Sorry I had to torn down a few requests as I went over on time and had to leave. Your guests gave your burgers great reviews too! Thanks Lani, your review means a great deal. What a great group of kids, (and adults). Polite and waited in line. You'd be surprised how rare this is. I'll be happy for the chance to serve you again, and love to offer you some extras. Wow! Thanks Madore, it's wonderful to hear and means a lot to me. It was a real pleasure to serve you. balloon dude was absolutely amazing! He does amazing work, and the kids and grown ups loved him. Will use him again for sure. Thank you, your outstanding review means a great deal. I felt we all had a really great time, and I told Michael his was the best party ever. Your yard as a carnival with those mountains for a view was incredible. The balloon dude interacted very well with the kids and the kids all loved the balloons! He was very creative! Thank you Nadine for that thoughtful review. I'm pleased the kids were so delightful and hope we can wow them again. On Time, Friendly & A Hit with the Crowd! We had "The Balloon Dude" come to our free movie event last night at our shopping center. We were showing Disney's Up, so he was the perfect fit and total hit with all the kids. We had roughly 75 kids at the event and he made sure everyone had the opportunity to get a special creation! Thank-you! Thanks Laura, I'm delighted your audience and you were totally entertained. They were very easygoing, especially considering their numbers. Had to use my superspeed balloon twisting and kept that line moving! Hope to see you again next year. Jeff was great. We booked him for 1.5 hrs and the extended another 30 min because all the children (and adults) enjoyed his creations so much. Easy going, mellow, and fun. Very happy. Wow! Thanks Julia. Great kids made it easy to have a great time. The pictures are the best, no ones ever done that for me before. The Balloon Dude did a great job of handling communication between us and made sure everything went well for my gig. He also did a beautiful job with the twisting and definitely deserves the title balloon artist! I would highly recommend him for a job of any kind. Thank you Andrew. It was great fun. I hope the video shows how awesome Brian's reaction was. This was surely a unique gig and I am delighted it went so well. The Balloon Dude exceeded our expectations. 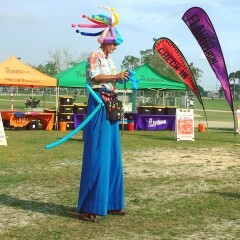 Definitely have him on stilts if you can- was a great addition to our event! We hope to hire him again at future events! Wow! Thanks Nicole. It was my first flavor run, and I had a ton of fun. Hope to see you next year, and I'll be prepared to be flavorized! Jeff did an outstanding job entertaining the members, he even stay a little longer than contracted to make sure he visited with everyone. Thank you very much for the wonderful review. What a pleasure it was serving your patrons. I keep thinking about the surprises I gave the birthday girl, and the guest that asked to have the crab bracelet I was wearing. I'm glad to hear I went over so well, it being my second all adult affair in 8 years, and first April Fools Day party. I hope if I have an encore I can outdo myself. The Balloon Dude is amazing! We hired Jeff to work at our booth at a large trade show. Everyone LOVED him! He is prompt, very easy to work with, personable, funny, accommodating and an all around great person to be around. 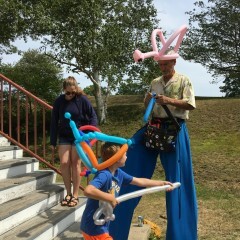 The kids and adults loved his company, jokes and of course wonderful balloon twisting skills. We already have him booked for next year. I highly recommend our friend Jeff The Balloon Dude! Wow Hadley, your too nice. Thank you. Working with your, (Stacee's) team was a walk in the park. I'll be looking forward to next year. Hope I can come up with some jokes and balloon creations to top this year. I hired Jeff for our annual kid's event and he was absolutely fantastic! He was the hands down favorite of both the kids AND the adults! We LOVED him! 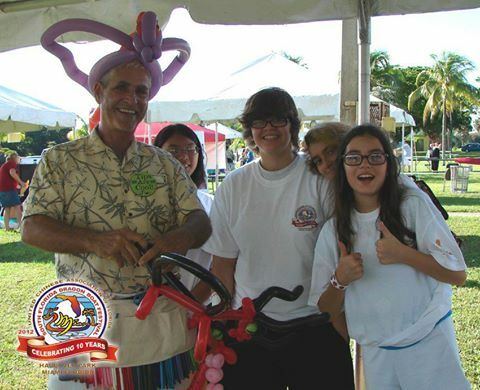 Thanks Nicole, Well, grandparents day party is a wonderful holiday party with all those kindly Buena Vida grandparents. I'm delighted everyone had as much fun as I had. Thanks Mike, reviews are the most powerful thank you. It was an honor to serve your parent's milestone event, and a real pleasure to meet such a rare and remarkable couple. 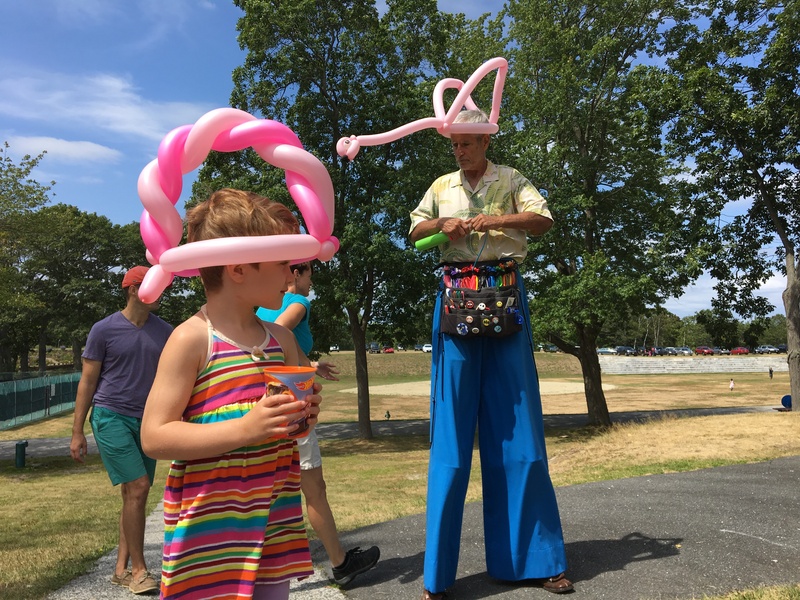 We had The Balloon Dude perform at my two-year-old's birthday party and he was awesome!! 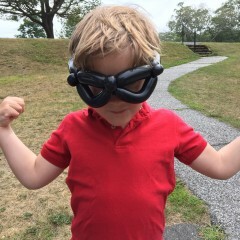 Parents kept coming up to me, saying he was the best balloon artist they've ever seen! Thank you so much, Balloon Dude! Wow! Putting these compliments in writing is the absolute best! I had a great time and hope to serve you again. Balloon Dude really was a great addition to our party. 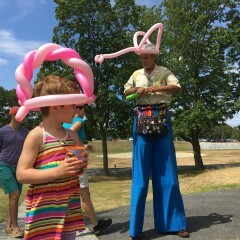 He was engaging with the kids, very entertaining, and very talented with his balloon art. I'm so happy we were able to get him for the party. Also, his rates very reasonable. Thank you Adina, It was certainly a pleasure to serve such a well behaved group of children. I hope I have the chance to outdo myself next year; I should have some new jokes too. Thanks Vanessa, Hope to see you soon at the Delray Farmers Market. Amazing party last night, I can't remember having see so many kids of all ages dancing like there's no tomorrow. This was my first trunk or treat event and it was a blast. There were lots of children, (25? ), and the adults were very helpful in keeping order and supporting me. All the kids got a cool balloon, some got 2. Thanks again to my hosts. 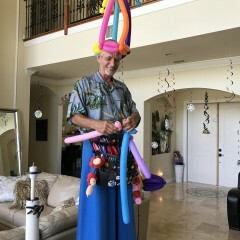 The Balloon Dude was a hit at my daughter's first birthday party. There were kids from a few months to 10 years of age, and he kept them all entertained...patiently taking and fulfilling requests (he even made the day of a few big "kids"). He has such a relaxed, go-with-the-flow attitude...and a day later my family is still commenting on how intricate some of his designs were. Thanks Arti! You all made it fun to do a good job; made my first windmill! We loved the Balloon Dude at our party. He was on time and got to all the little kids who wanted balloons. Prices were very affordable and the children enjoyed his company. 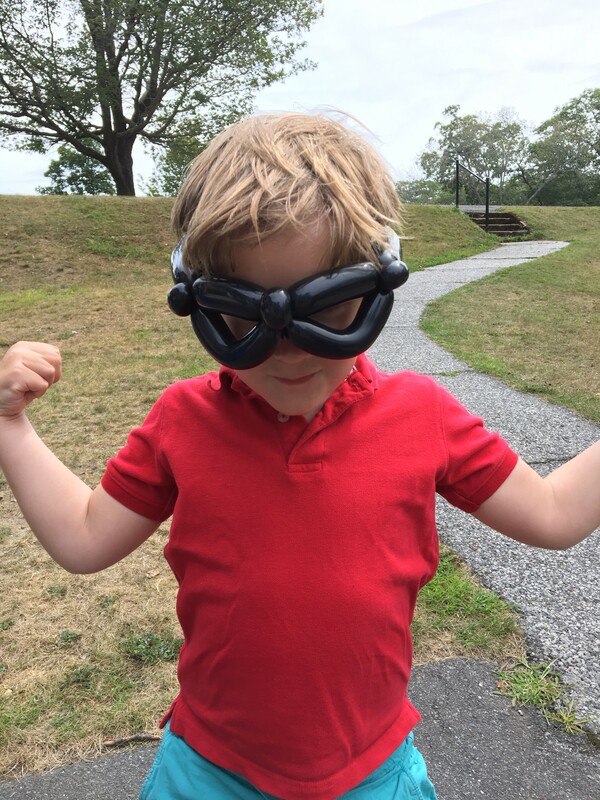 He made simple swords to difficult super heroes like Hulk and Spider-Man. There wasn't a balloon request he couldn't fulfill. Thanks Balloon Dude for coming to our event and at such short notice (24hrs)! I'm very grateful for this review and pleased with the opportunity to entertain such nice people. Some previous clients must not have realized that these reviews are the single most influential thing on this site for my business. Giving 110% to each of my clients is always my goal. Gig Salad is providing an excellent service and I look forward to growing success and customer satisfaction in my business with them. This gentleman did a party for my family last spring. 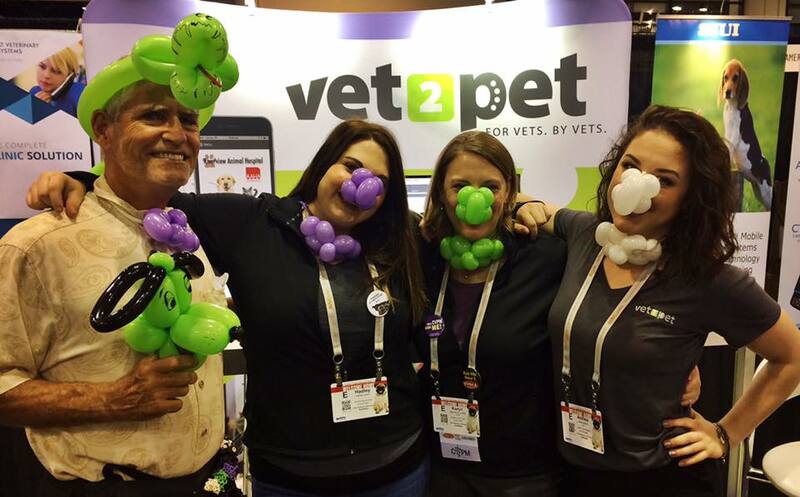 Awesome job, awesome balloon shapes, very kind and extremely patient with kids. Fantastic man, the best balloon maker I've ever seen! Thank you and I wish I could say I'd like to do it again, but as you know I've moved. Your party gave me a great chance to stretch my dragon making skills, one of my favorite balloons. Sorry I couldn't speak to much Russian to some of your family. I hope the associate I referred to you gives you the same awesome job. Funny and entertaining time. Would recommend using him in the future. All the kids loved it. How can a balloon artist go wrong at a Halloween party...balloon masks, angel and devil headpieces, ghosts, the works. The age group of kids (6-9) is the best for balloons...at least in my opinion! We have a birthday party for about 20 kids and 35 adults. 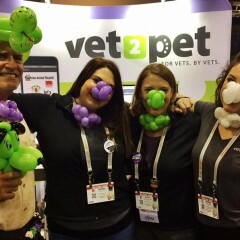 We all love our balloon dude--Jeff!! 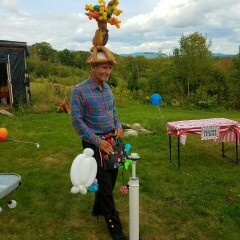 He did a terrific job making all kinds of balloon sculptures for everyone. He even made ninja turtles for our Party Theme "TNMT" and beautiful crowns and bracelets for all the pretty moms and grannies. Very talented and nice balloon artist! Highly recommend him to everyone who is looking forward to a fun party! As anyone can see these were among the nicest people ever to entertain. The adults couldn't get enough balloon sculptures in the 2 hours I was there. 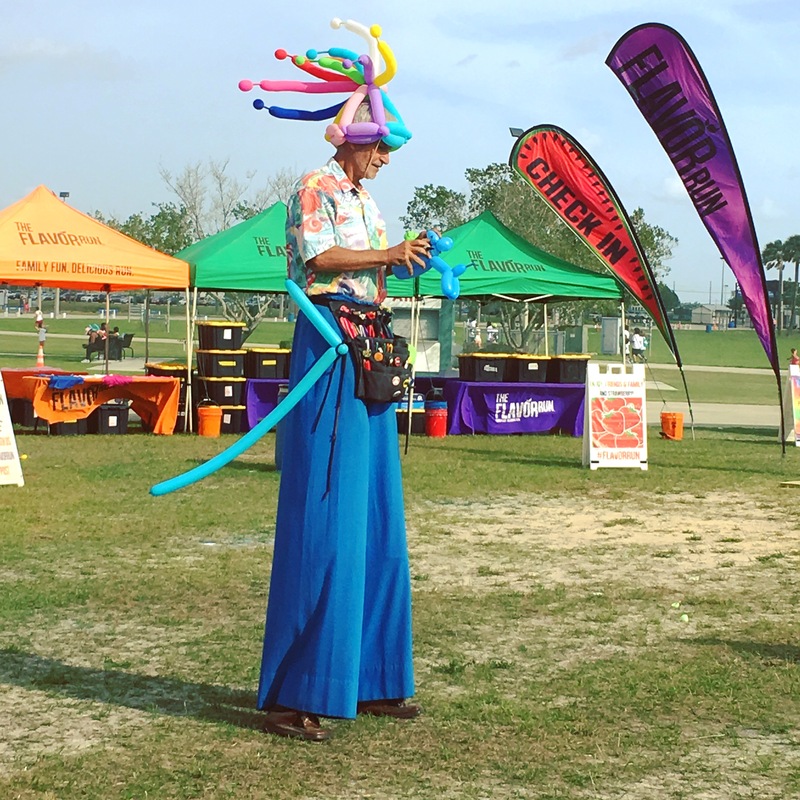 The kids were young enough to be awed by my height on stilts. I think I had as fun a time as they did. I am thrilled that my first customer referred through Gig Salad is a great review and am determined that all my future clients will be just as happy. 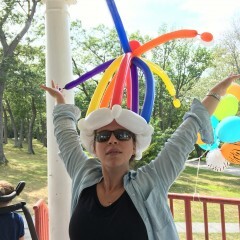 Usually with children, they line up and watching and joking around while waiting for a balloon sculpture. I tell lots of silly one line jokes like why did the spider cross the road, and riddles to keep the banter going. I can make over 100 different shapes from dogs to action figures to famous mice. 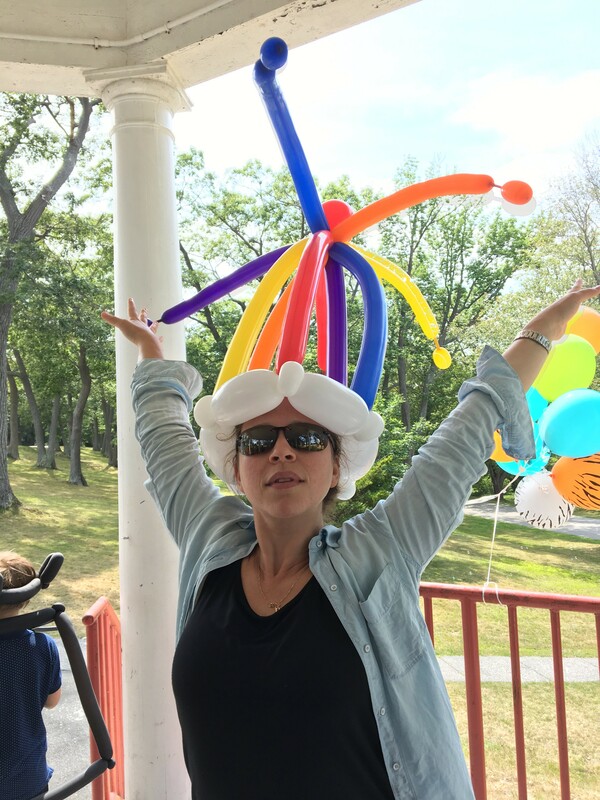 At other events I may work from table to table, and specialize in balloon hats, which always gets the party going. 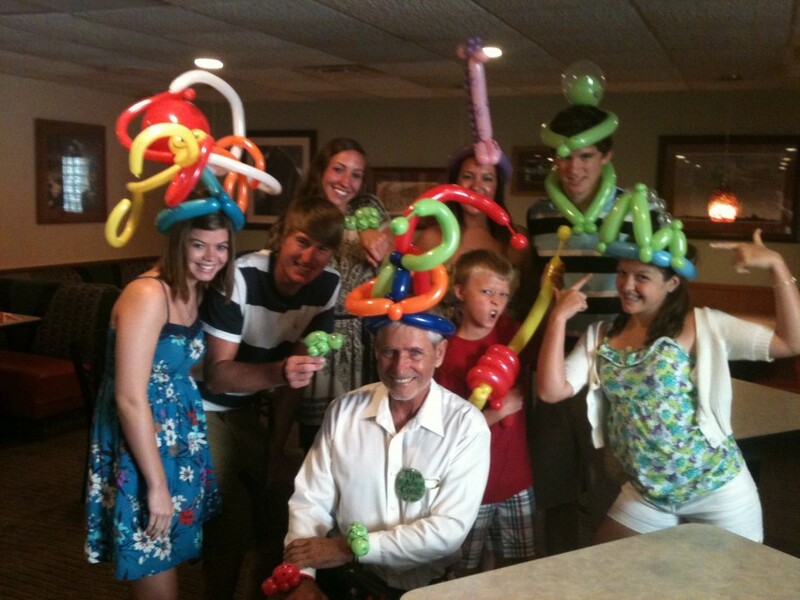 There are plenty of balloon sculptures for all events and for all ages. Ladies love my fancy tiaras, and birthday hats 3 feet tall are always a hit. You name it, from princesses to frogs, you will see it! I am a re-created former social worker who has found the fun balance to those years of seriousness. 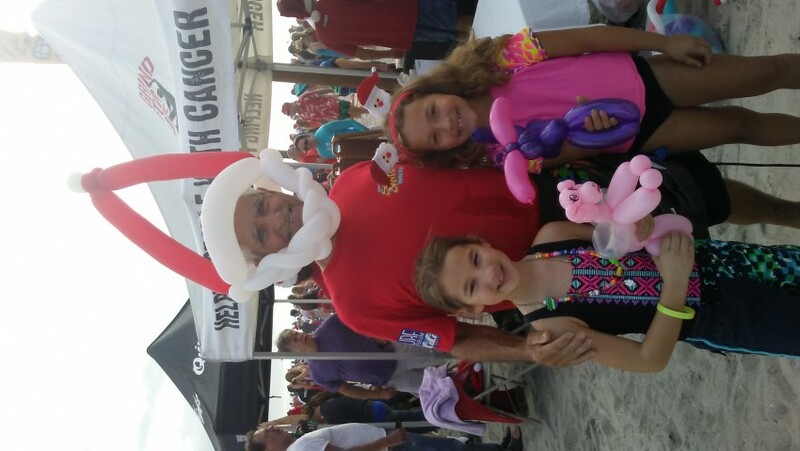 Having fun while entertaining kids of all ages is my mission, (hopefully amazing a few of you in the process). 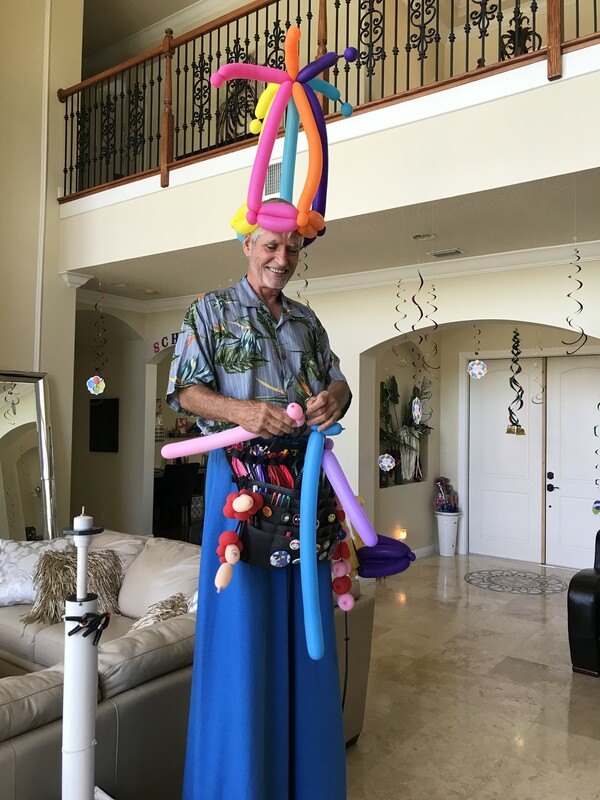 I just do balloons (no clown act, or face painting, etc), and love getting extra fun from joking around while twisting on stilts (temporarily unavailable August, 2018). Will fish up special costume accessories, if you like, to wear to your event. I have worked restaurants, parks, festivals, parties, parades....you name it, and have excellent references. My fees for services vary depending on time, date and location, and start as low as $65 for a 1 hour event. I need no props or special considerations, am completely mobile and self contained. If on stilts, I need solid ground. And since you didn't ask, I have professional liability insurance. I can go from 30 minutes to 4 hours. Not much to say here, except that Steve Martin has a good balloon skit on YouTube. I have lots of contacts with lots of balloon artists in lots of ways, but no outstanding influences.